It's September, therefore it's fall. If you've met me, then you know I'm not a summer person. I would take piles of snow over three months of 90 degree weather and 85% humidity. Thankfully, I can pull out blanket scarves, booties, and skinny jeans for the rest of the year. 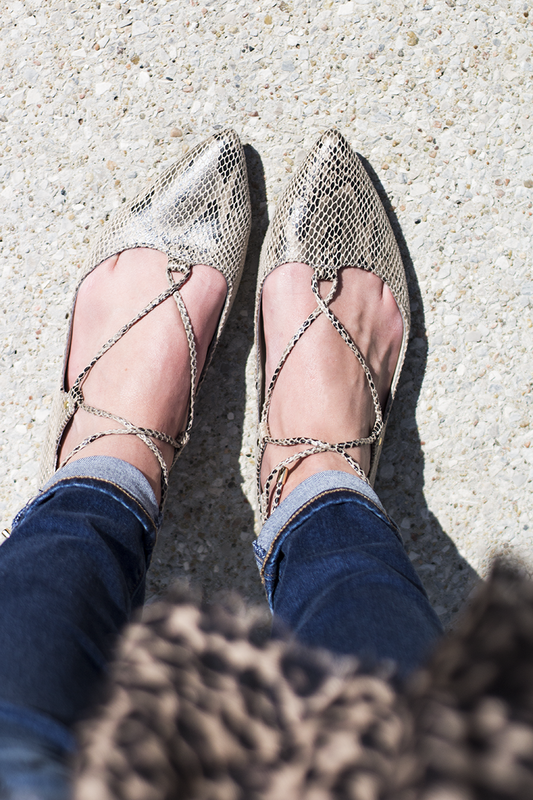 Something about the changing seasons adds some pep in my step - I love jewel-toned colors, bold prints, and fun flats. Oh, and did I mention that with it being September we have about three months left until Christmas?! I don't know why the holiday season makes me so excited but I look forward to being extra peppy for the next few months. One challenge that I often run into is transitioning from one season to the next. Here in Iowa, we have four distinct seasons with transition periods that waiver a fine line. On any given fall day it's breezy and low 70's and the next we've climbed into the 90's. 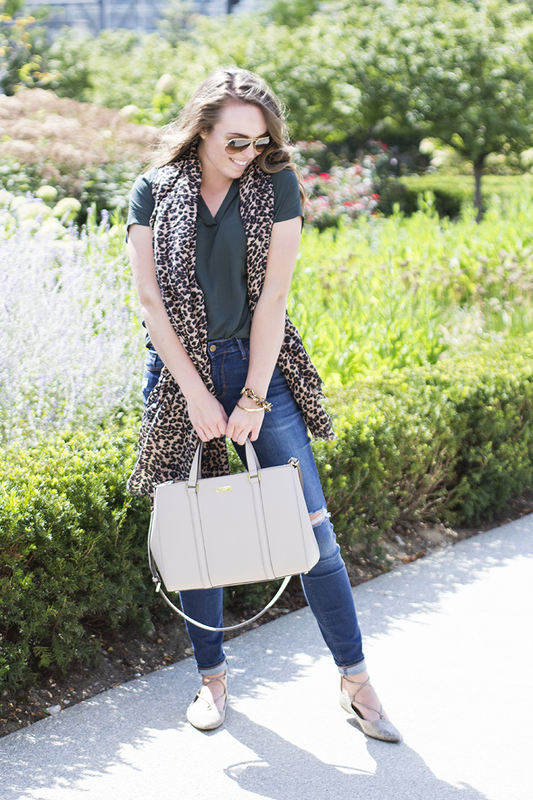 I love wearing items of clothing that I can easily layer or take off/put on as needed, such as a light blouse and scarf. 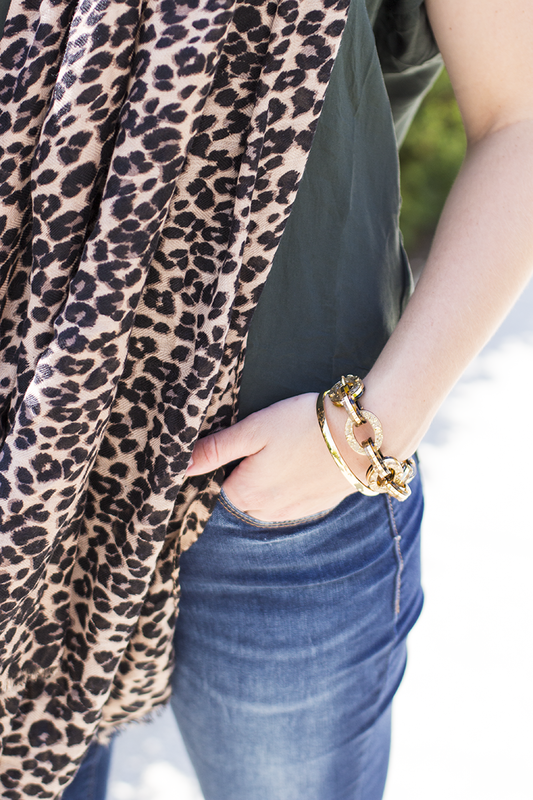 Over the weekend, the weather was warm but I was plenty warm (and cool) in a blouse and scarf. What do you wear during the "transition season?" Share below!